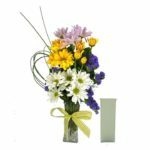 We not only allow you to place orders by phone or walk-in (pick up), but we even let you order flowers online on our website. You can even schedule a pick-up time. 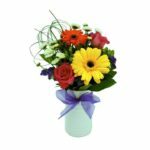 We even offer same and next day delivery. 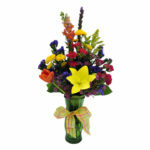 As a virtual online florist, we service all 50 states. 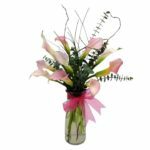 We are one of the few online florists that have physical storefronts, and have been in business for much longer than most online flower shops. 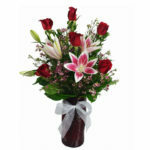 In fact, if you have any hesitations or concerns to buy flowers online, please contact us. We have flower specialists standing by to help you. 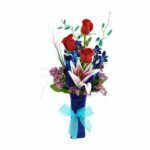 Whether you just need to send someone flowers, or buy some fresh flowers for yourself, FlowerPatch.com is the place to do it. We use the highest standard of credit card security on our website so you can be sure your order is safe with us. If you prefer, you may call us to place your order. 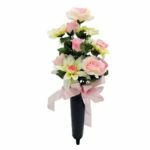 If this is your first experience with buying flowers online, we will do our best to ensure it is a great experience. Start shopping by choosing from a category on the left. Flower Patch: A leading online flower store.